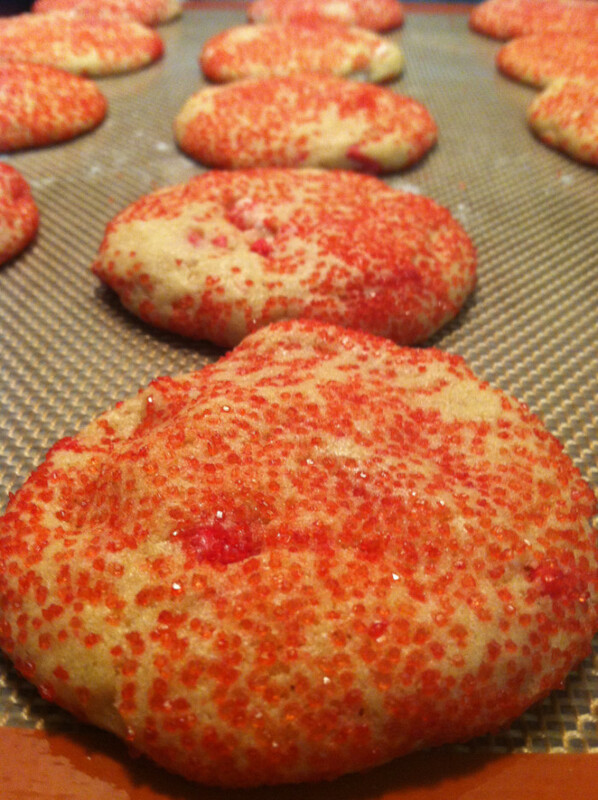 Prepare yourself, for the best holiday cookie you’ve ever tasted. This is a holiday experiment gone right in every way possible. 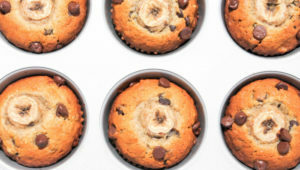 Taste, looks, ease of baking. 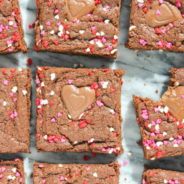 I will definitely be baking lots of these this holiday season. 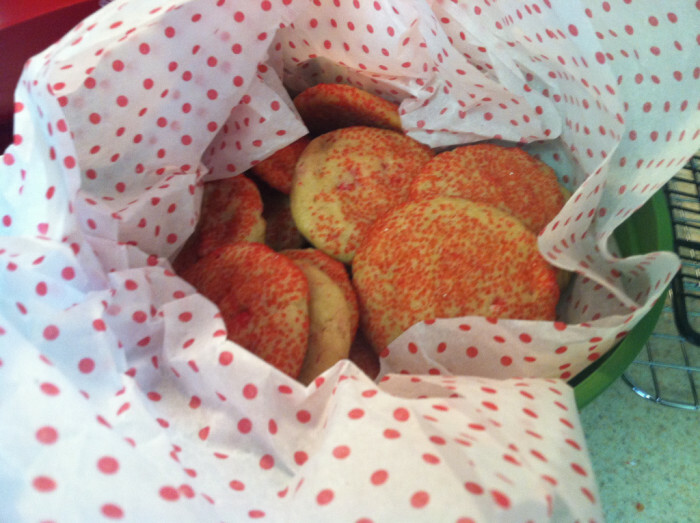 This is my first time participating in The Great Food Blogger Cookie Swap. 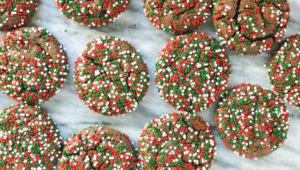 (http://www.fbcookieswap.com/) It’s a great idea to bring together food bloggers for a good cause — Cookies for Kids Cancer. 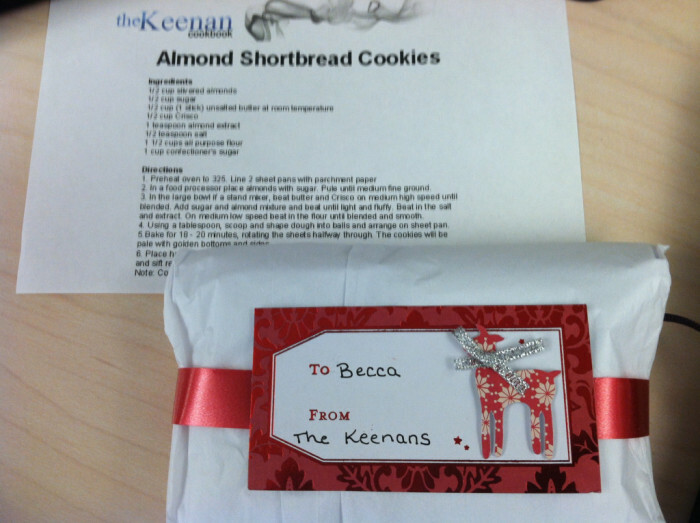 I got paired with 3 different food bloggers who I had to send a batch of cookies to and then 3 different food bloggers mailed me cookies. I wanted to do something for the holidays, but also something completely original. I was browsing the candy aisles at the drug store a few weeks back to figure out what holiday candy I wanted to incorporate in. 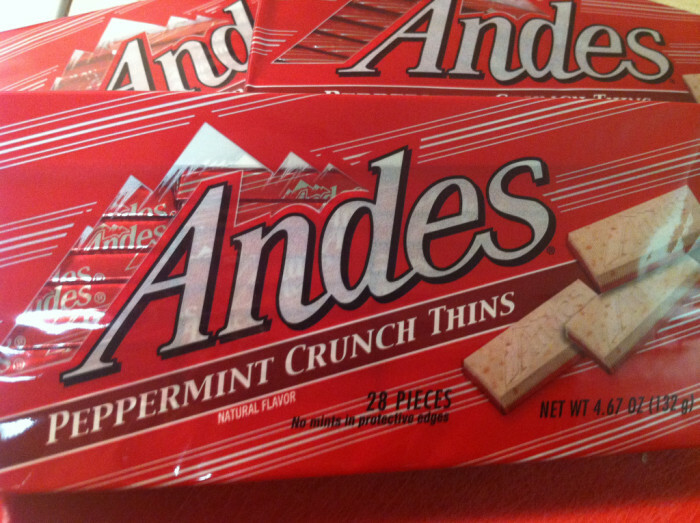 I found these Andes Peppermint Crunch Thins, which I thought would be great to incorporate into my standard Snickerdoodle which is always a big hit, and less risky than using candy canes which sometimes melt funny and get chewy. They also make these in baking bits which come in a bag like chocolate chips, pre chopped up, which you could easily substitute in. 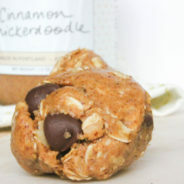 I don’t know what puts the “Snicker” in a Snickerdoodle, but I assume it’s cinnamon. 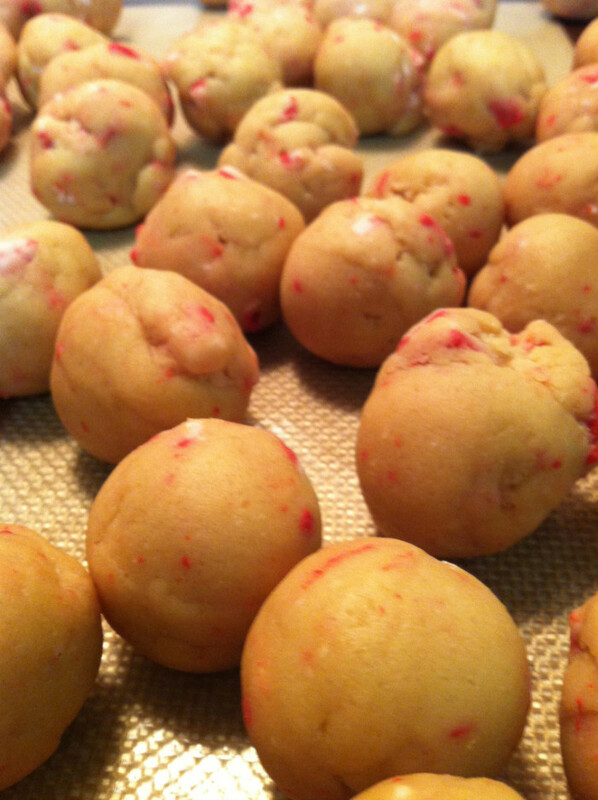 So I named these Peppermint Doodles because it’s half snickerdoodle and half peppermint cookie. Whatever you want to call it, it’s delicious. 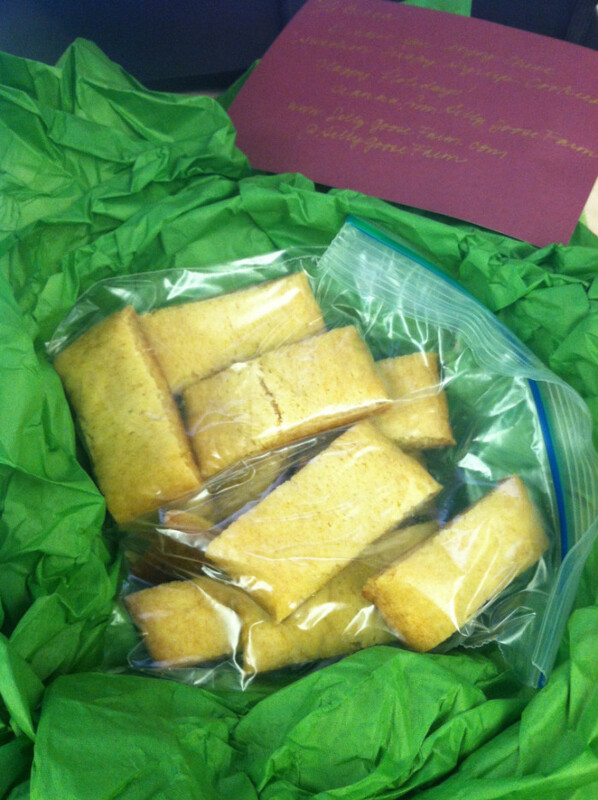 I was only able to bring in 6 to work because I had mailed the rest out, and they were a huge hit. I will need to remake a full batch next week. Step 1: Preheat the oven to 325 degrees. Cream together butter and sugars. Add in vanilla, peppermint extract, and egg and beat until creamy. Step 2: Sift together flour, baking soda, salt and cream of tartar. Step 3: Mix together the wet and dry ingredients. 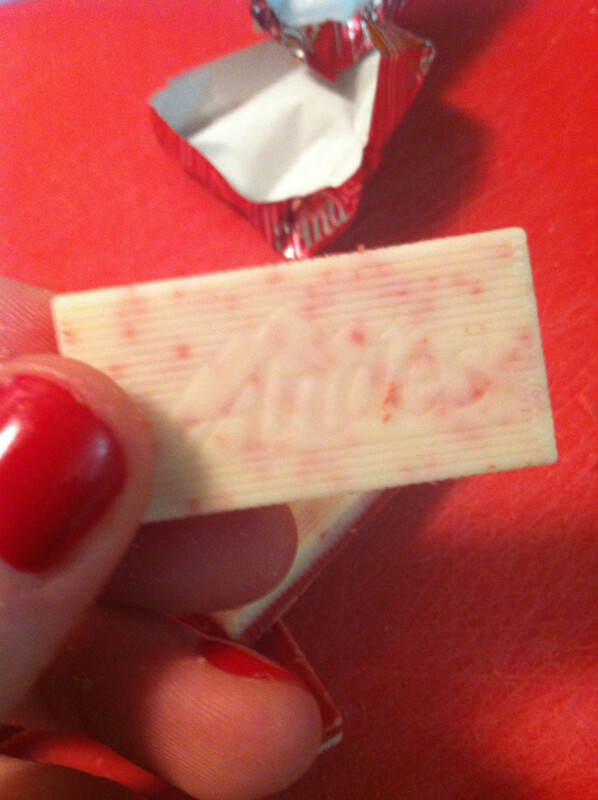 Step 4: Chop up one box of Andes Peppermint Crunch Candies into small bits. I think I chopped each piece into 8 tiny pieces. 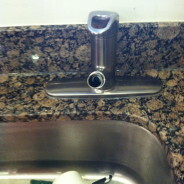 This is where the baking bits might work out better. 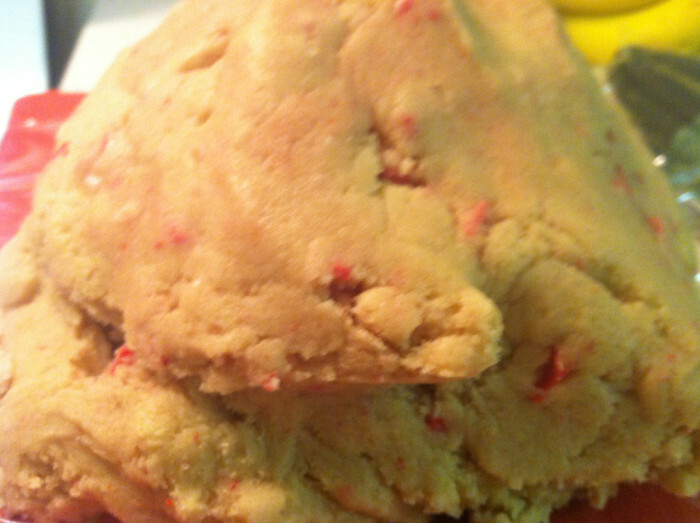 Mix the peppermint bits into the dough until well incorporated. Wrap the dough in plastic wrap and refrigerate for an hour. This will make it much easier to handle the dough. 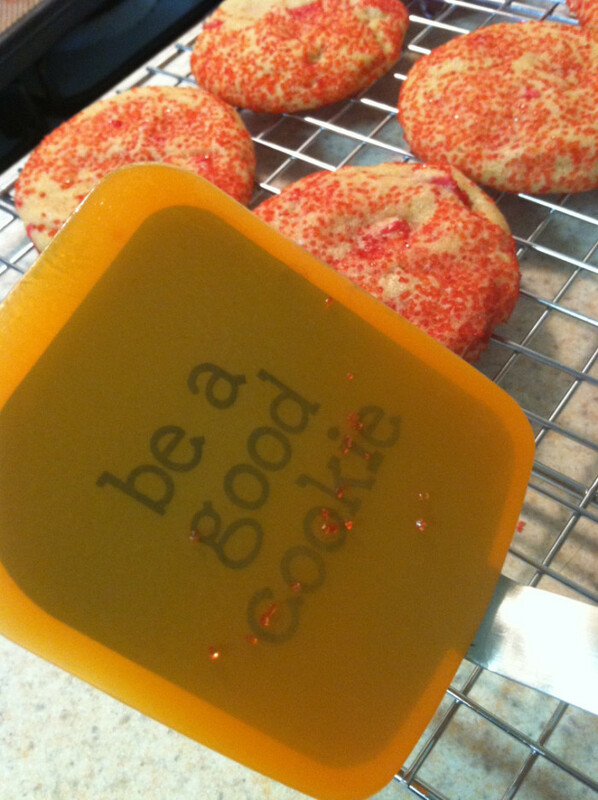 Step 4: In a separate dish, pour out some of the red sprinkle sugar. 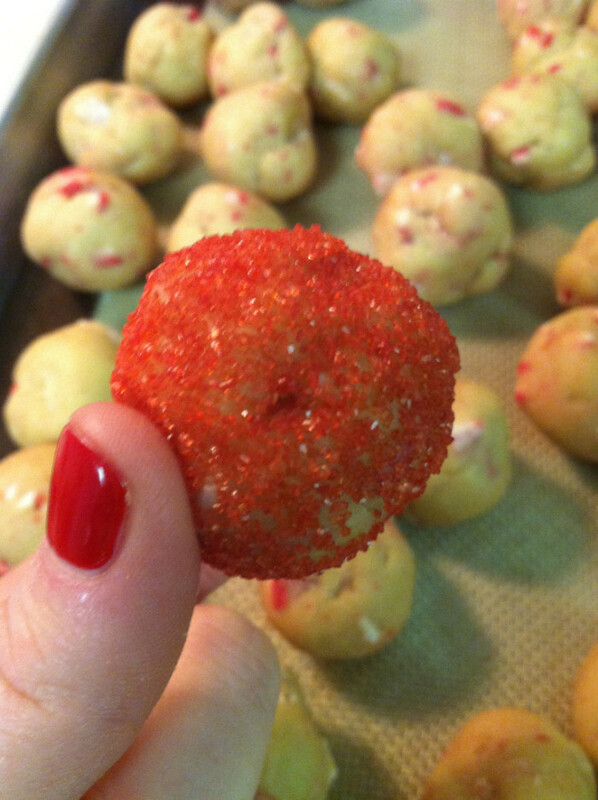 Using a small cookie scoop, form a small ball of dough and roll it in the red sugar mixture until well coated. Step 5: Press the dough down on a sil-pat or parchment lined baking sheet with two fingers. Bake 10-12 minutes. 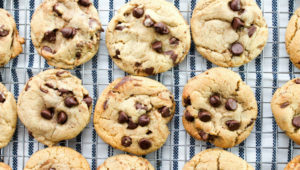 When you take the cookies out of the oven, they might seem a bit undercooked, but they will finish forming once you take them out of the oven. This batch makes about 40 cookies. 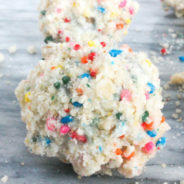 You should probably plan to make two batches, because these are honestly the perfect holiday cookie. 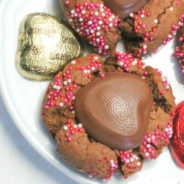 They are very easy to make. They look great. 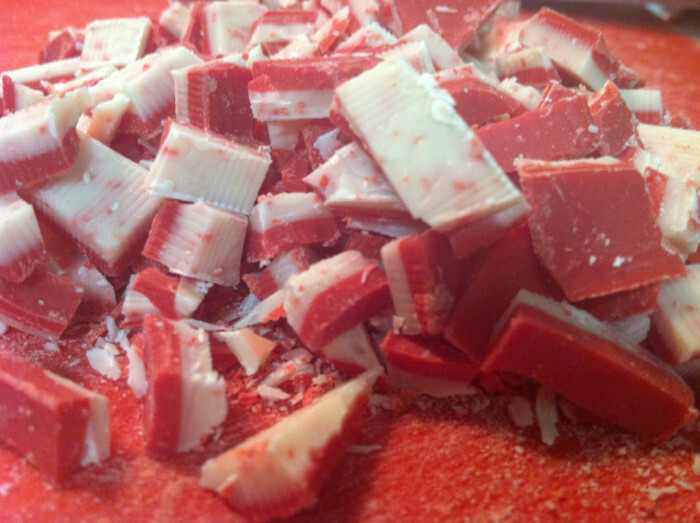 The peppermint extract and peppermint crunch candies give it a very distinct holiday feel without being too much. 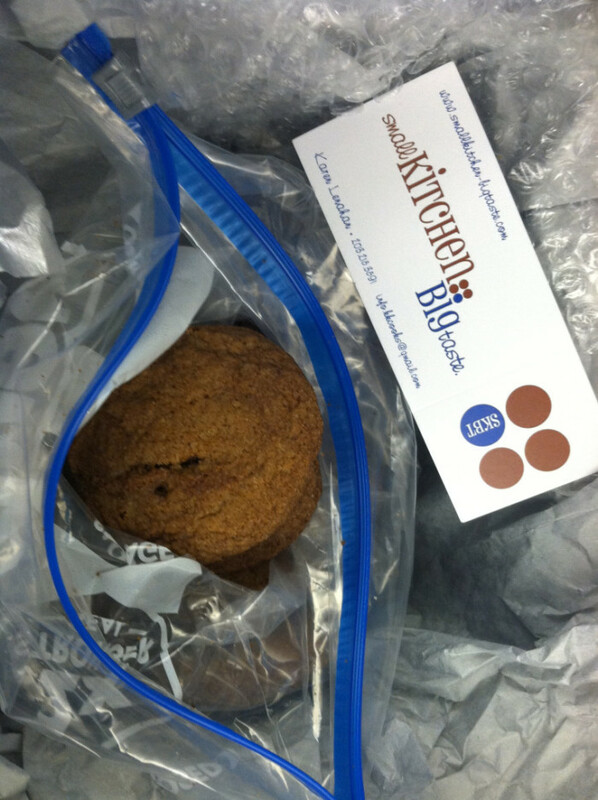 One of my favorite parts of the cookie swap was packaging up the cookies and sending them to my three swap recipients! I love this wax-lined tissue paper from the Container Store. 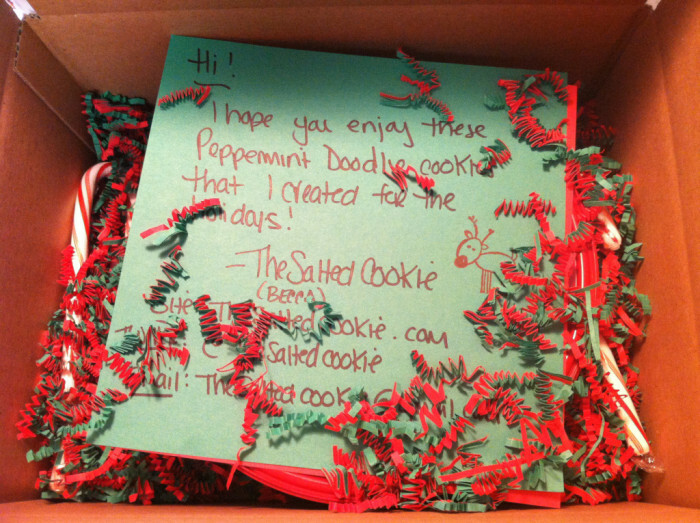 I filled the box with a hand-written recipe and lots of holiday colored paper confetti. These look awesome! 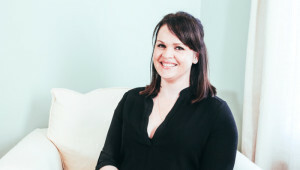 Will definitely be trying!